PT Adhi Karya (Persero) Tbk - Adhi Karya (IDX : ADHI) or referred to as "ADHI" is a well-known national construction company which is majority owned by the Government of Indonesia. The Company is based in Jakarta and has core business focus on 4 sectors, namely construction, engineering procurement construction (EPC), property and preacase manufactures. ADHI runs its business through its 7 contruction divisions; Construction Division I Jakarta, Construction Division II Palembang, Construction Division III Medan, Construction Division IV Surabaya, Construction Division V Balikpapan, Construction Division VI Makassar and Construction Division VII Semarang. The Company also supported by 5 directly-owned subsidiaries, namely PT Adhi Persada Properti, PT Adhi Persada Realti, Adhi Multipower Pte Ltd, PT Adhi Persada Gedung and PT Adhi Persada Beton. In term of financial performance, PT Adhi Karya (Persero) Tbk recorded a positive financial result in the full year of 2015 (FY15, ended in 31 December 2015). According to PT Adhi Karya (Persero) Tbk Annual Report 2015 as cited by JobsCDC.com, ADHI managed to record a net profit of Rp463.7 billion in FY15. This reflected an 40.9% increase from Rp329.1 billion in the same period at previous year (FY14). 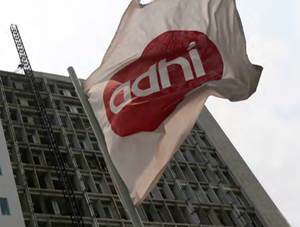 The annual report of ADHI showed total revenue in 2015 amounted to Rp9,389.57 billion. That number is up 8.50% year-on-year from Rp8,653.57 billion in 2014. Minimum Bachelor (S1) holder in Finance, Accounting. Able to use computer especially Microsoft Office (Word, Excel and Power Point). Able to work in team, hard worker, and work with target. Holds around 1-2 years of experience as Secretary or Personal Assistant. Able to use computer especially Microsoft Office (Word, Excel Access, and Power Point). Able to work with tight deadlines and multitasking job. Minimum Bachelor (S1) holder in Law, Business Administration. Holds around 1-2 years of experience as business administrator or legal staff. Strong knowledge of good corporate governance practices. Hard worker and able to work with tight deadlines. Holds around 1-2 years of experience in the field of general affairs. Able to use computer especially Microsoft Office (Word, Excel, Access. and Power Point). Strong communication, negotiation, interpersonal, problem solving skills. Willing to work over time if required. JobsCDC.com now available on android device. Download now on Google Play here. Please be aware of recruitment fraud. The entire stage of this selection process is free of charge. PT Adhi Karya (Persero) Tbk - D3, S1 Fresh Graduate, Experienced Staff Adhi Karya September 2016 will never ask for fees or upfront payments for any purposes during the recruitment process such as transportation and accommodation.